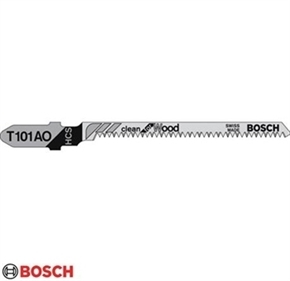 Bosch T101AO Wood & Plastic Cutting Jigsaw Blades. 50mm long with 1.3mm pitch, ground and side set teeth. Especially narrow blade for tight curves in wood, plywood, plastics, compressed materials and card. FINE cutting, no tearing at the edge of the cut.